Cute wee Tilda coloured with promarkers and have paper pieced her pinafore to match the backing paper. 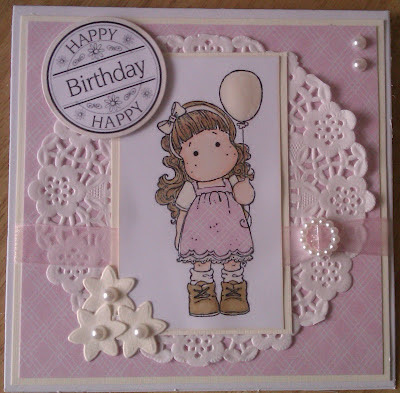 This is from a gorgeous freebie, that you can find here, the ribbon slider and pearls are from Meiflower (lovin these at the mo!!) doily from Pretty Little Ribbon Shop, flowers are a Joycraft die. this is gorgeous Lisa. I love the sweet image with her pretty paper pieced dress. Gorjuss colouring and just perfect for our GO PINK challenge! Thanks for joining in the fun at Dream Valley Challenges this time! Very pretty! Thank you for joining us at The Stamping Boutique. She is so sweet standing there. Love the use of a doily. Thank you for playing along this week at The Stamping Boutique. Good luck in the challenge and I hope to see you in the next challenge. So pretty in pink! Thanks for joining us at Lexi's Creations this time & good luck! 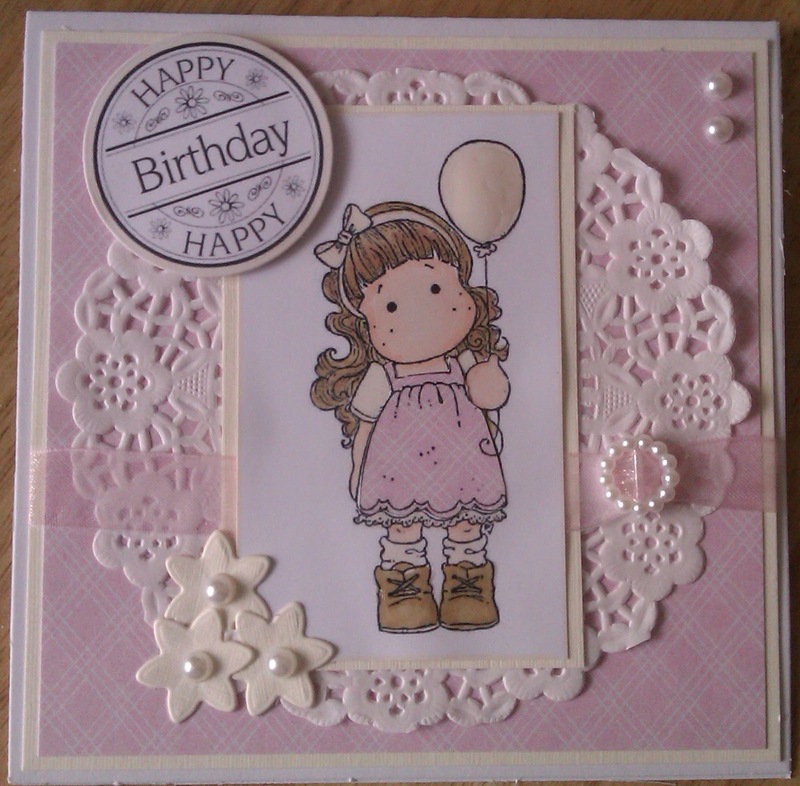 Lexi's Creations with this super cute Tilda card. Gorgeous card and I love the image you've used.